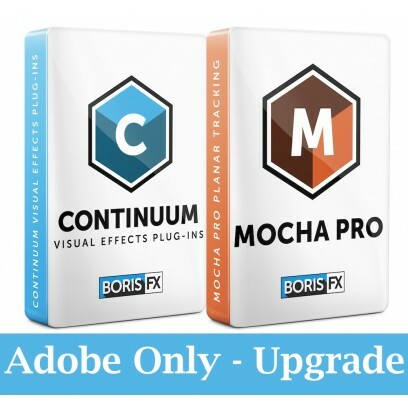 This an upgrade from previous versions for Continuum 2019: The world's most complete plug-in toolkit and Mocha Pro 2019 plug-in: Academy Award-winning planar tracking & masking software. This is for Adobe After Effects & Premiere Pro. Compatibility: Adobe After Effects & Premiere Pro.